The main factor for this category is the luminous efficacy of the light source. It shows how much light it can produce from a given amount of electric energy. Its unit is lumen per watt. The less lumens per watt are produced, the more energy is wasted e.g. through infra-red radiation. Approximately 90 percent of all improvements are currently happening in the LED category: LEDs produce negligible heat and are therefore extremely efficient. The rest are improvements to fluorescent lamps to increase their shelf life or make them more ecological by creating new technology that allows the use of less mercury. Everyone knows Thomas Alva Edison, the man who discovered a lightbulb. His discovery quite literally changed the way of life. The evolution of lamp technologies has not stopped there. After Edison’s incandescent lights there came fluorescent lamps, halogen lamps and their new and more efficient artificial light sources. Public does not know the names of their inventors; Edison is still the father of artificial lighting. One of those inventors is Nick Holonyak. In 1962 he discovered a first light emitting diode (LED). At that time no one would believe that his discovery would mean a revolution in the lighting world half a century later. Except Professor Holonyak, that is: in 1963 in an article for Reader’s Digest he ventured a prediction that LEDs would become of such a high quality and efficiency that they would replace light bulbs in the future. LED technology is not used solely in lighting industry; it found a wide array of application in electronics and electromechanical industries. The conventional light sources are still present in the majority of luminaires and do not plan to leave prematurely. Not even the developers are able to predict when and how would the LEDs overtake the lighting market. The last decade saw the descent of incandescent lamp, increasing the evolution of other types of lighting. LEDs will play a significant part in this process. „We are LED optimists. We believe that the future of artificial lighting will be led by LEDs,“ Miroslav Masár, Director of LED Department of OMS says. In general, lamps generate light either by thermal radiation or by gas discharge, the radiation of which is either directly visible or is made visible by luminescent material. Incandescent lamps use thermal radiation; fluorescent lamps belong to gas discharge category. The main parameter here is the luminous efficacy of the light source. It shows how much light it can produce from a given amount of electric energy. Its unit is lumen per watt. The less lumens per watt are produced, the more energy is wasted e.g. through infra-red radiation. The lighting world is changing dramatically in the past years. Just three years ago the most modern and efficient lamp was a metal halide one. Currently the top of the line belongs to LED lamps – their quality is on the rise while energy requirements are decreasing. Energy consumption is of utmost importance nowadays, as energy prices are climbing constantly. LEDs can help with that: not only are they very efficient, but they produce negligible amount of heat, allowing energy savings on air conditioning as well. Approximately 90 percent of all improvements are currently happening in the LED category. The rest are improvements to fluorescent lamps to increase their shelf life or make them more ecological by creating new technology that allows the use of less mercury. 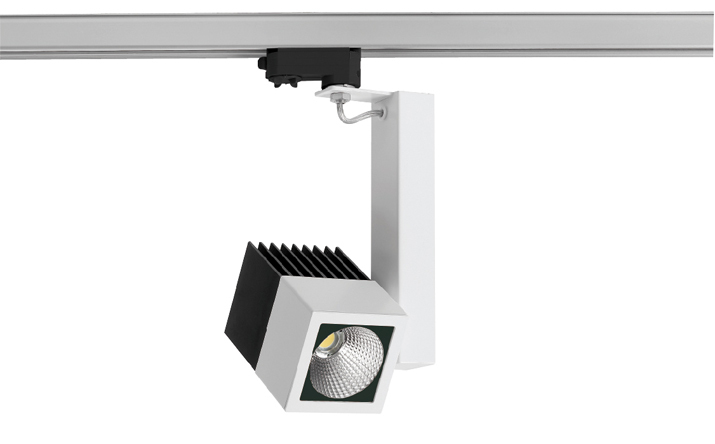 To provide new light sources even for older luminaires, retrofitting is often used – a fluorescent or LED lamp is set into a traditional screw mount of incandescent lamp. Such retrofitting can include the whole electronic driver necessary for LED light. The advances made in the lighting field are not limited only to new types of lamps. The scientists started to study influences of light on human behaviour, deeply impacting the lighting industries. Special lamps producing continuous spectrum as close to natural light as possible, daylight sensors and control systems that enhance daylight in the environment, even cyclic dimming and brightening of lights to mimic clouds moving in the sky – all of these are practical applications of the scientific discoveries made in the last decade. The discovery of special photosensors in the eye that control the production of melatonin and influence human biorhythm led to designing lamps that better mimic blue spectrum of the sunlight. Blue, the colour of the sky, is the colour that the new photosensors are sensitive to. This knowledge, as was mentioned previously, can be used in the whole new area of biologically active illumination: it can improve focus in schools, performance at work or even mood outdoors, through street lighting. They are finding a new role in navigating the cities, lighting footpaths at ground level or illuminating fountains, statues and landmarks, affecting mood of the people. Even the white light itself can be tailored to the specific requirements of the environment: white with low colour temperature feels hospitable and inviting and is perfect in pedestrian-only environment, such as city downtowns, where it creates an atmosphere of relaxation. The increased pressure on energy saving can be felt everywhere. This is what LQS takes into account when judging the lamp technology used. The luminous efficacy of the light source basically shows how much of the energy is turned into light. The full marks are received for luminous efficacy of over 100 lumens per watt. Such high parameters can be achieved by LEDs, ecological fluorescent lamps and low pressure sodium lamps. Due to the fact that LEDs are still being researched and further optimized, their efficacy will be growing in the coming years.